This year we have received 215 prints, created by 82 artists, from 11 different countries including Canada, United States, Italy, Turkey, Cuba, Ireland, Brazil, Egypt, Poland France and England. All of the prints received have been processed and will be included, (and for sale), in an exhibition which will run from March 31 to May 15, 2016. On March 30, 2016 a jury of three art professionals will choose one print from five categories including relief, intaglio, lithography, screen print, and digital / new media. 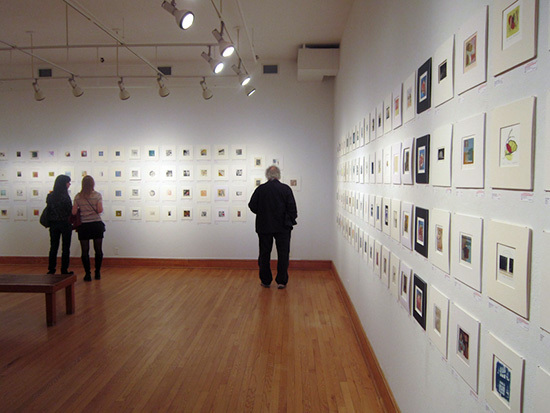 The OSA will purchase the selected prints making them part of its permanent art collection. 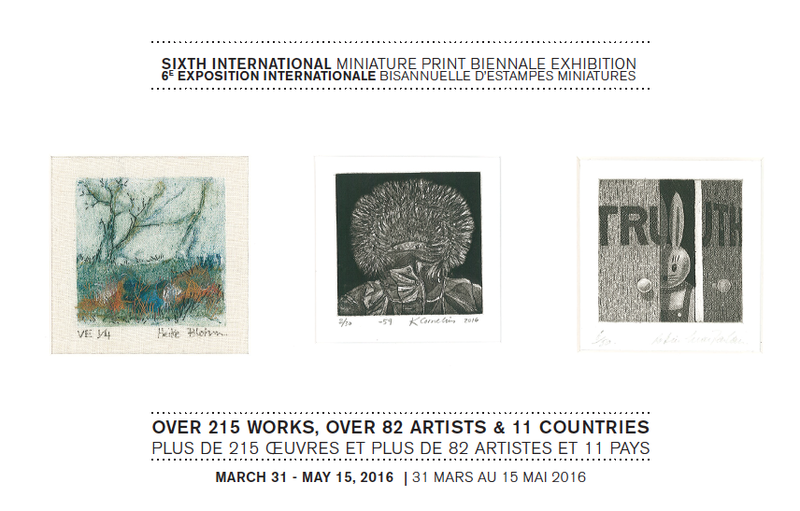 The prints will also be featured prominently in this year’s exhibition catalogue and the artists will have their submission fees covered by the OSA for the 2018 International Mini Print Biennale.